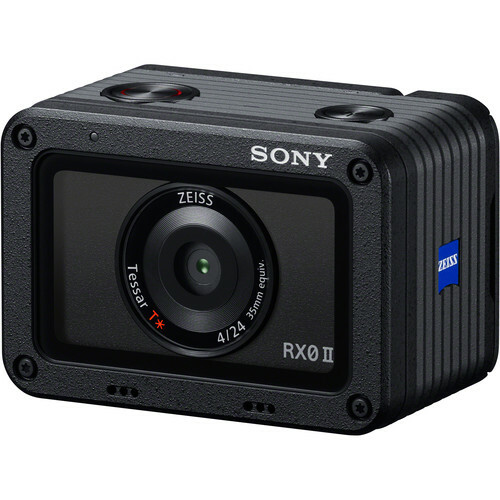 Sony has worked wonders with the Cyber-shot DSC-RX0 II, creating a premium, ultra-compact, and tough camera with an outstanding feature set for both stills and video. This form factor makes it ideal for travel and everyday life while the 15.3MP 1" Exmor RS stacked CMOS sensor and BIONZ X image processor ensure your images are of the highest quality. 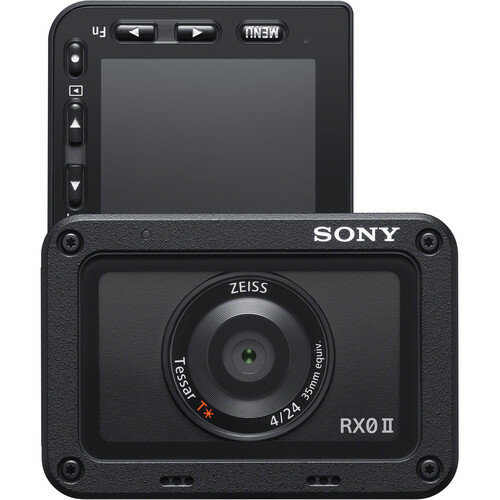 Also, this model offers internal UHD 4K30 video recording, electronic image stabilization for movies, and a 1.5" 230k-dot 180° tilting LCD that is perfect for selfies and vlogging. Beyond that, the RX0 II can handle adverse conditions with ease, being waterproof to 33', dustproof, crushproof to 440 lb, and shockproof to 6.5'. 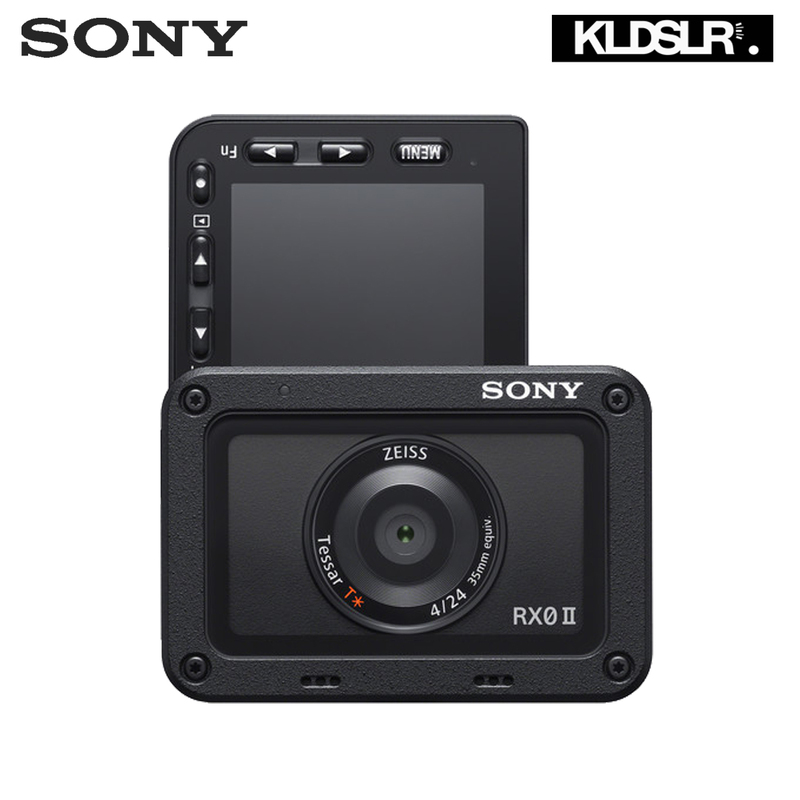 All this technology makes the RX0 II a stellar video camera, too, as it offers internal UHD 4K30 video along with Picture Profiles, including the advanced S-Log2 gamma. Users looking for the best can still output an uncompressed and clean 4:2:2 4K image over HDMI as well as benefit from the camera's 3.5mm microphone input for improved audio capture. 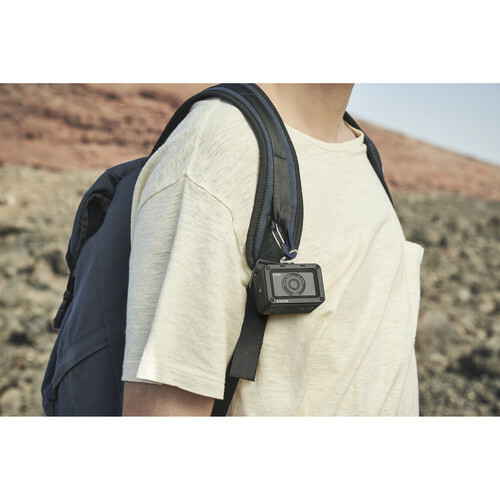 The RX0 II has electronic image stabilization for steady handheld footage. Full HD video at up to 120 fps is available as well, though a High Frame Rate or HFR Mode will enable super slow-motion capture at up to 960 fps in NTSC or 1000 fps in PAL. Additionally, interval recording is possible for creating time-lapse movies. Squeezed into that pocketable and rugged frame is a large 15.3MP 1" Exmor RS stacked CMOS sensor with dedicated DRAM chip. 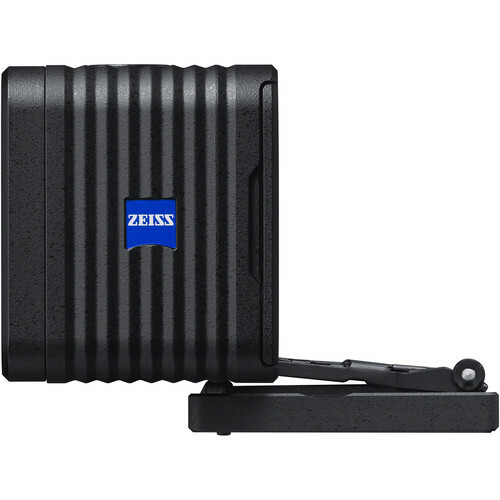 By integrating the DRAM so tightly with the sensor, Sony was able to dramatically speed up read times, allowing an anti-distortion shutter at up to 1/32000 second, a wide dynamic range, and sensitivities that range from ISO 80-12800. Working with this sensor is the BIONZ X image processor which ensures images are captured with a wide dynamic range, reduced noise, and natural-looking colors. Eye AF is supported now, and the RX0 II can shoot full-resolution stills continuously at up to 16 fps. The contrast-detect AF system will operate in single-shot AF, preset focus, or manual focus. 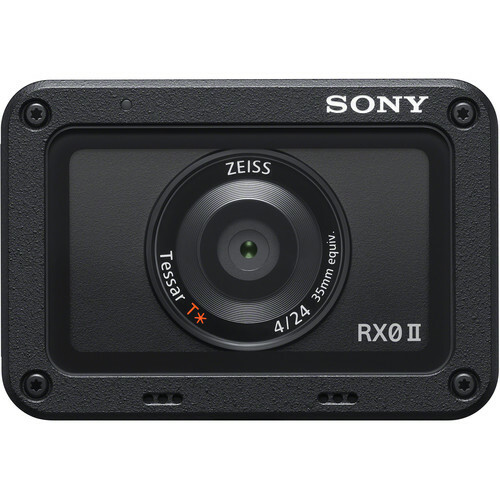 Integrated into the body of the RX0 II is a ZEISS Tessar T* 24mm equivalent f/4 lens. These optics are optimized to capture high-resolution images with minimal distortion and high sharpness. 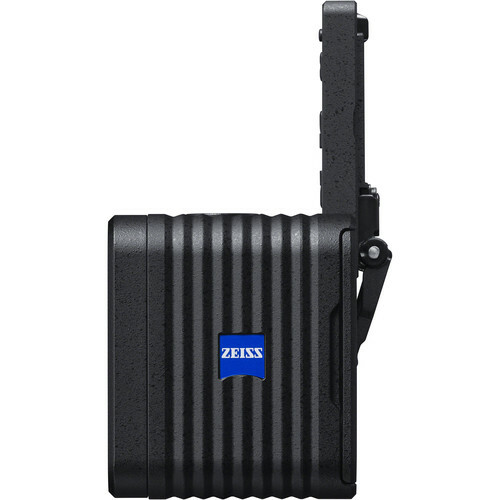 It also sports a minimum focus distance of 7.9" for versatility and can work with Clear Image Zoom to provide a 2x digital zoom with a minor loss in quality. Additionally, ghosting and flare is well controlled and a coating on the front of the body makes it easy to clean water drops and dust. 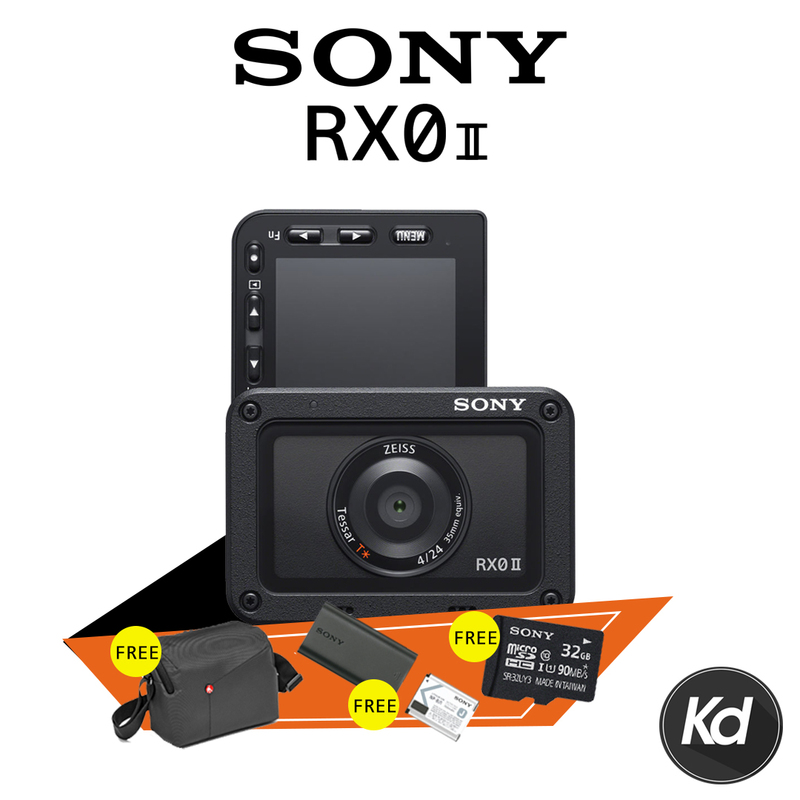 For advanced filmmaking, the RX0 II offers shooters Picture Profiles, including the S-Log2 gamma, for additional control over the look of your final images and the ability to capture video with a wide dynamic range to be edited in post. 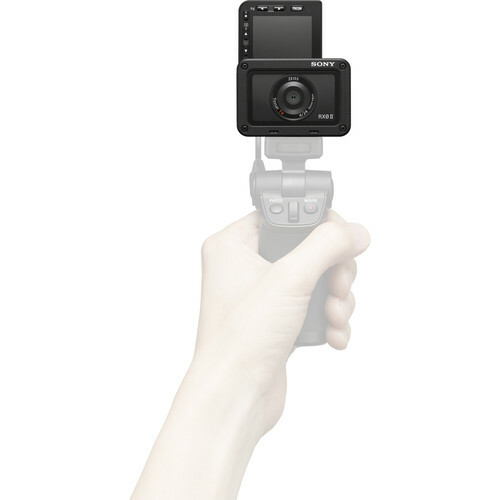 Electronic SteadyShot image stabilization is available as well for steady handheld operation. 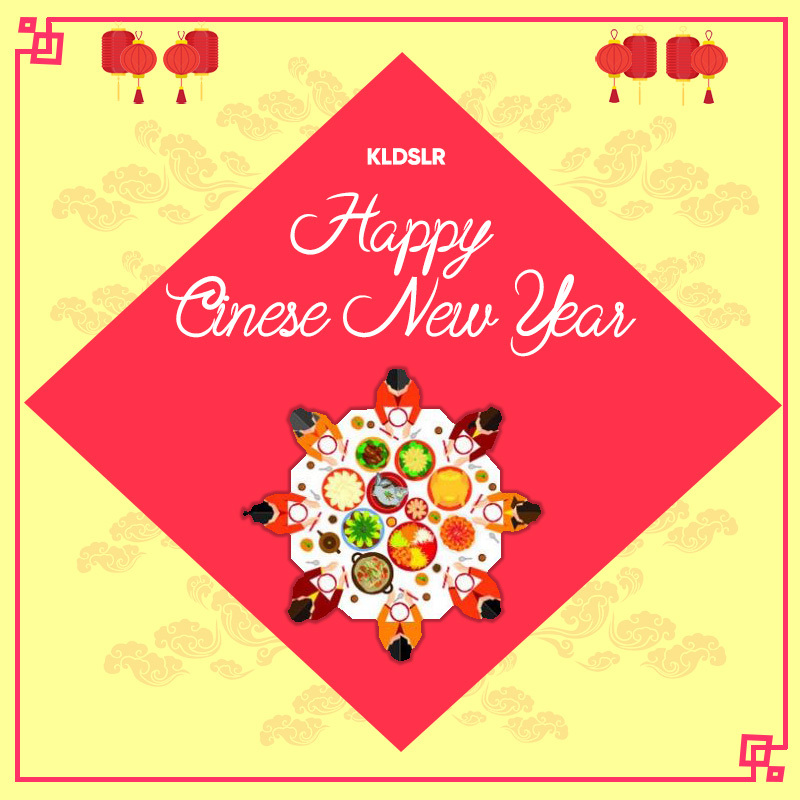 Another function supported by the system's advanced processing is an HFR or High Frame Rate Mode. This will allow users to capture extreme slow motion at up to 960 or 1000 fps for NTSC or PAL, respectively. Quality Priority Mode can be used when resolution is critical to record up to HD at 240 or 250 fps. A helpful option for HFR is an end trigger function so you can record the 2-4 seconds prior to the shutter being pressed so you don't miss the shot. Built-in Wi-Fi and Bluetooth connectivity can be used to access more features via a connected mobile device. The Image Edge Mobile app will support remote control of the camera and can even control multiple RX0 cameras at the same time. Bluetooth can be used for remote power on/off and recording location data. A Movie Edit add-on can also be used to transfer videos to your mobile device and will provide automatic image stabilization and reframing for various social media networks.